A large portion of our business will be based around the farm being used as a venue. Apart from people coming to the farm to pick blueberries, buy bouquets, go on walks and enjoy the nature, we plan on having the space rented out from time to time for photoshoots and for weddings. The average cost of weddings in the Hudson Valley is $54,428. The region is the sixth highest value for weddings in the country. Nationwide (on average) people spend $2,037 on flowers and decor for their special event. Being that both Hudson Valley and New York City cost well above average, the cost of flowers for weddings can be two or three times what the national average is. This is a high-value market we are catering to on two fronts. One being the supply of plant material to wedding planners, and two being that we'll also supply a great wedding destination, with the flowers included for the same great price! -According to Bloomberg News, the average wedding cost $26,720 in 2016, according to the Wedding Report, up just 0.3 percent from the previous year—but that average is skewed by a few particularly lavish weddings. The median cost of a wedding was $14,399. -Another source, Knot, says the average is $32,640 and has increased by $2,688 (a bigger jump than that from 2014 to 2015. -Averages are effected by many things, for example an average wedding in Manhattan could cost $78,464, while an Arkansas wedding will average at $19,522. -The average cost of weddings in the Hudson Valley is $54,428. The sixth highest value region for weddings in the country. -According to Knot the 'Get Away' and 'Going Green' where huge themes in 2017 wedding season. This means people are buying more flowers and plant material for decorations, and desiring an escape to somewhere special. For many city slickers thats upstate New York. -The national average people spend of a florist/decor is $2,037. Being that the Hudson Valley is way above average in wedding costs, they number can be easily doubled. -Size of weddings has shrunk. Last year’s average wedding had 141 guests, according to an annual survey of couples by the Knot, the wedding website. That’s down from 149 guests in 2009. As a result, many couples end up spending more on each guest; the Knot estimates average spending per guest is up 26 percent since 2009. - With the vast variety of online platforms for soon-to-be-weds, people can find venues and comparing prices more easily; looking for bargains. 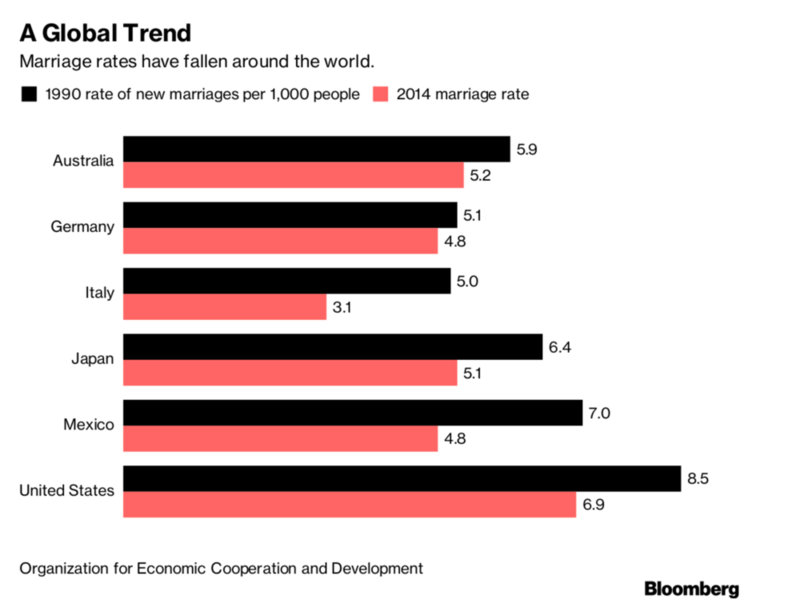 - Marriage in general has decreased and people are getting married later..
- Still the U.S. marriage rate of 6.9 is higher than the average rate of 4.6 for countries in the European Union and countries like Mexico, and Japan. 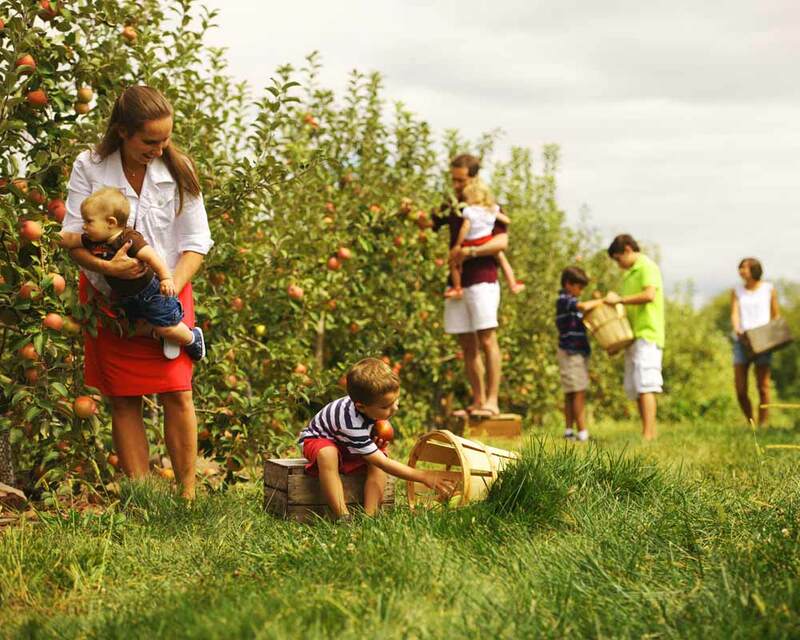 Farm-related recreation and tourism can be traced back to the late 1800s, when families visited farming relatives in an attempt to escape the city’s summer heat. Visiting the country became even more popular with the widespread use of the automobile in the 1920s and rural recreation gained interest again in the 1930s and 1940s by folks seeking to escape from the stresses of the Great Depression and second World War. These demands for rural recreation led to widespread interest in horseback riding, petting zoos and farm nostalgia during the 1960s and 1970s. Farm vacations, bed and breakfast's and commercial farm tours were popularized in the 1980s and 1990s. In 2007, National Agricultural Statistical Services reported $566 million in income from agri-tourism and recreational services; in the 2012 census, it was pegged at $704 million – roughly a 25 percent increase in five years. 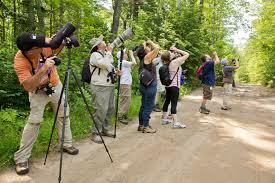 Bird watching is the fastest growing outdoor recreation in New York and across the country, and one that contributes billions each year to state and local economies. According to the Fish and Wildlife Service, in New York alone 3.8 million people watch birds and other wildlife, and generate approximately $1.6 billion in ecotourism revenue annually. Distribution: On farm. Farmers Markets (5 in total. 3 in Brooklyn). Wholesale. CSA. Crop sizes: 60 acres of apples, 4 acres of pears, 20 acres of mixed vegetables, and 17 acres of summer fruits and berries. Distribution: On farm. Hudson Valley Farmers Market (open daily 9:00-5:00, breakfast and lunch). CSA $475 membership. Other attractions: Old Dairy Barn (which acts as store that sell produce, cheese, meat, flowers, from other local farms) Koi fish pond and pygmy goats that people can feed. Other Products: Cut flowers (zinnias, cosmos, status, snapdragons, sunflowers, salvia, asters, strawflowers) Grass fed beef. Chickens, eggs, cheese. Intrinsic Strength: Good use of spectacle, like the giant gnome. Lots of funs things to do.